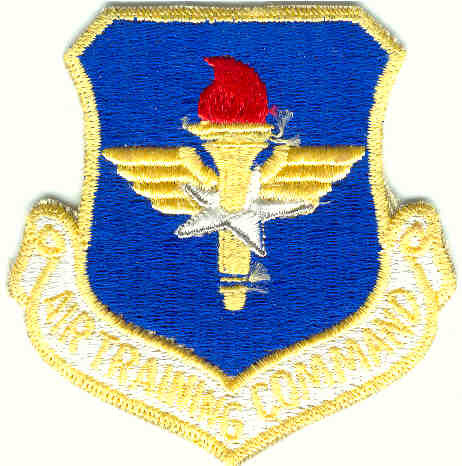 Many colorful patches were worn by the personnel based at Reese AFB. Most common but also most significant are the permanent units that were activated at Reese AFB over the years. More rare and transient were the UPT class patches worn by the students during their hectic and stressful year of pilot training. Lee Humiston points out that UPT Class Patches are quite similar to aircraft nose art of WW II. They are the visual expression of brashness, bawdiness, humor, and spirit. Aircraft nose art has returned since the late 80's. Still, UPT class patches show the most graphic spirit of all Air Force symbols. This is now the home of the "Lee Humiston -- Reese Collection". Lee has amassed the most significant ATC/AETC collection anywhere. It is his Reese collection that now resides here. He publishes guides to all the UPT bases. He has been a great resource to official Air Force Historians. Incidentally, Lee amassed and then donated to the AF Academy the significant collection of Vietnam POW artifacts that is on display at the AF Academy. Other students and collectors have generously donated images to this site as well.